Fed Up Of Feeling Like Crap, Being Unfit And Having Little Energy? Do You Feel You're Chasing Your Tail? Going Around In Circles When It Comes To Making The ﻿Positive ﻿Changes Needed To Take Charge Of Your Body?! Catch Yourself Saying I'll Start Next Week And When Monday Comes Around, Something Else Comes Up? I'm with you... I deal with professionals like you every day… Long days, busy schedules with little time to think about what to eat, never mind fitting in a fitness schedule! We all have 168 hours per week, the difference is what we do and how we use our time. I help people just like you factor in 3-4 hours of structured training each week resulting in a fitter, stronger, leaner and more confident version of yourself, in as little as 10 weeks. Juggling work, life and family can leave little time to tackle your health and fitness goals. Over the years I've discovered people don't have time to spend hours in the gym.. Don't have time to use fancy nutrition calculators and other fitness tech. Thats cool, you don't need to! 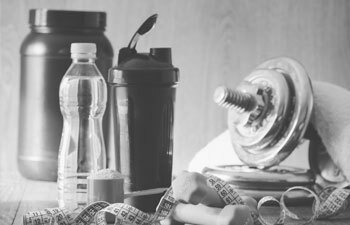 The key ingredient with a busy schedule and long days is maximising the limited time available to exercise and adopt a smart nutrition strategy that fits your lifestyle. 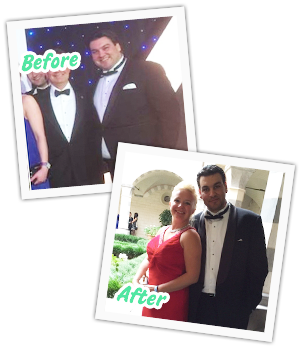 All my levels of service guarantee a solution to get fitter, slimmer and leaner in less than 4 hours per week. No more stop start training and wasted time in the gym, this training system will transform your physique, but more importantly it will create a happier more confident version of you, in less than 12 weeks! 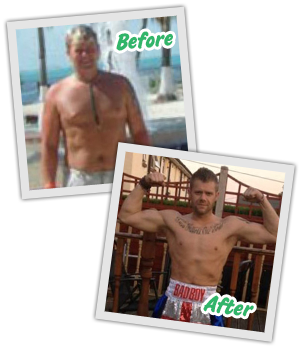 Jools was instrumental in my transformation to gain back my health and shape my body. I went from 140kg and 40% body fat, to roughly 90kg and 15% body in a period of 6 months (and still improving). Jools is an expert in body composition, techniques and nutrition. He always follows the cutting edge research and keeps adding to his repertoire. Most personal trainers are there to chit chat with clients...Jools is about results. In addition, Jools was always there for me to answer any question 24/7/365. I would email, call, sms him at anytime (literally). I recall I texted him one night at 3am while reading a fitness book and he replied within 10 minutes (he was watching boxing). 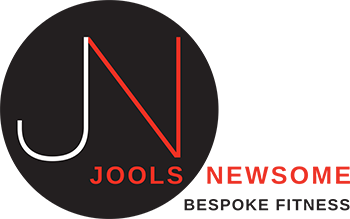 It is no surprise I recommended Jools as a personal trainer to another 10 fund managers and investment bankers in the city of London and Mayfair and I am quite happy to offer this recommendation publicly, because he absolutely deserves it. Thank you Jools for supporting my goals. I first started personal training with Jools in April 2013 when he introduced me to weight lifting. I wanted the help of a personal trainer as I was tired of spending hours on the treadmill on ridiculously low calories wondering why I still looked 'soft', unhealthy and always felt tired. Jools provided me with a great training programme which taught me the fundamentals of weight training and he taught me the principles of clean eating which included lots of great food - I was no longer constantly hungry and craving sugar! After a couple of months I began to take more of an interest in weight training and aspired to look like the strong muscular women I saw in fitness magazines. The more I looked into it, the more I was driven to train harder and eat cleaner towards my goal physique. Jools and I discussed taking my training to the next level - to compete in a figure competition. I decided to compete in the UKBFF Cumbrian Classic 2014 in the Bikini Category. 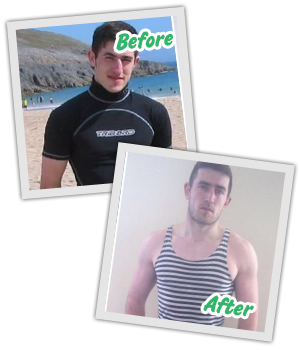 Jools equipped me with a very specific diet and training plan which was tailored exactly to meet my needs. It was the hardest and most challenging 10 weeks I have ever had - both physically and mentally but the experience on stage was absolutely amazing, I loved every minute of it! I went on to take 2nd place in my very first competition and I also received an invite to the finals. I am now continuing training towards competing in the UKBFF Bikini Category Finals in October. I hope that my journey inspires other women to explore new ways of keeping fit to promote a positive body image of being strong not skinny! 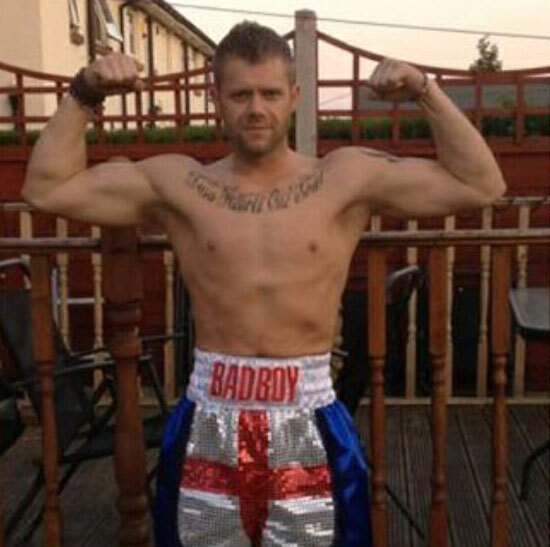 Jools is an absolutely fantastic personal trainer, I genuinely couldn't recommend him enough. His knowledge and approach to nutrition and exercise is second to none. Jools not only supported me in one to one sessions, but he supported me throughout every step of my journey to the competition. Jools is the reason I developed a passion for bodybuilding and I can't thank him enough! I met Jools when I was at my biggest, a whopping 16 and a half stone. Although I had joined a gym and was running two to three times a week I saw little or no results.I was introduced to Jools and straight away we hit it off and he was friendly and very understanding. We sat down and talked about my lifestyle,nutrition and future goals. Jools told me straight away where I was going wrong and explained the value of good nutrition in a way I found easy to understand. 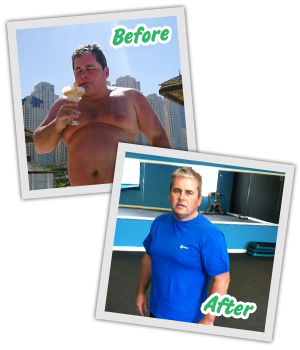 He set me an easy to follow diet plan and we started training the very next day.Within weeks the weight was dropping off. Although training was tough, Jools helped me through it and really encouraged me to be the best I can be. I have now dropped from a 38 inch to a 30 and toned my body far beyond my wildest dreams. I'm so full of life and energy and have gone from being overweight and shy to "ripped" and full of confidence. I would recommend Jools as a personal trainer to any one, not only is he my personal trainer but I consider him as a friend.Thanks mate I would never have done it without you. Not only have you trained my body but you have trained my mind too! I used to find it incredibly hard to motivate myself to go to the gym and always found that I wasn’t hitting my targets I was setting myself. But since beginning training with Jools I have found myself exceed all the targets I had at the start and have found myself continually pushing for the next target. Putting just over 18 pounds of lean muscle on in 9 months while also keeping my bodyfat at 12%. Training with Jools is both enjoyable and rewarding not only does he set manageable targets and goals but provides all round advice, advising on food and nutrition, different exercising techniques depending on the current goal and in my particular case helping me with my flexibility.Without training from Jools my own training had become stagnant and was not really achieving much but now I can see the result from week to week and look forward to reaching each goal. Jools is an enthusiastic and inspirational personal trainer.His knowledge and skill has helped me to lose over 25kg so far in weight, as well as toning and re-shaping my body, his nutritional knowledge and guidance has helped me to understand and live a healthier and balanced lifestyle.The programmes which Jools produces and adapts to meet my own needs change regularly and this keeps the sessions interesting and varied.I would have no hesitation whatsoever in recommending Jools to other people and I highly value his services. This is achieved using advanced strategies with resistance training. Your training will include bodyweight exercises, dumbbells, barbells and kettle-bells along side other training equipment. The key focus is to ramp your metabolism turning your body into a fat burning machine, building a fit, lean, healthier you! I'm so confident in my training system that after week 4, if you haven't dropped at least 6 lbs of body fat, increased fitness and look significantly better, I will give you a free months training on the plan you've invested in! If you want to let another month pass ﻿where ﻿your lacking confidence and feel out of shape that's ok.. But if you're tired of feeling down and carrying excess weight, demand change and want to ﻿get ﻿in great shape buzzing with confidence, click the link below! Copyright by Jools Newsome Bespoke Fitness.